So I’ve been a lil slack in my food truck eating in the past week, but don’t worry I will make up that tomorrow night when I go to two different food truck events. Seriously I have a food truck problem, BUT I strongly support local businesses and these people work so hard I can’t help myself! Over a month ago I checked out LBS Patty Wagon when I saw on twitter they were near my apartment. I had heard really good things about their turkey burger from the lovely Sno Ono Shave Ice ladies and I can’t turn down a good turkey burger! So I got the California Turkey Burger with their shoe string fries. The fries came with their special fries sauce. I love sauce for fries, especially when it’s delicious like theirs is! I’m also a big fan of shoe string fries and thoroughly enjoyed theirs. 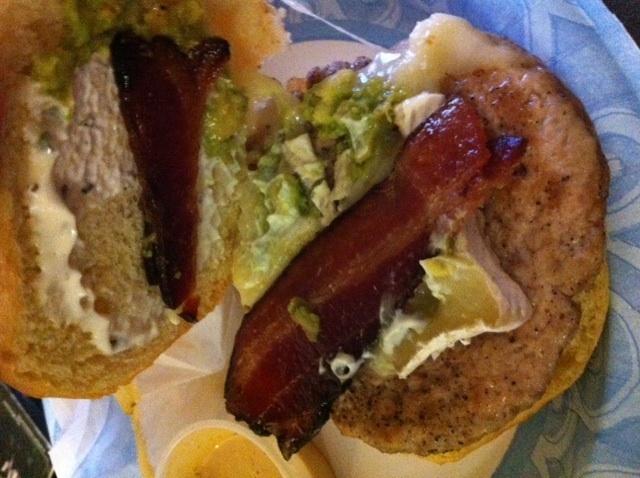 The California Turkey burger, is a turkey patty, with brie cheese, bacon, avocado and garlic herb mayo. I asked for no lettuce and tomato (no extra healthy on this girl’s burgers). The brie cheese was very interesting. I’ve never had that and it was a nice touch! Overall I really loved this burger and def want to try them again. They came back to the place by my apartment and even tweeted to me to tell me, but my family was in town and I was on the strip with them. 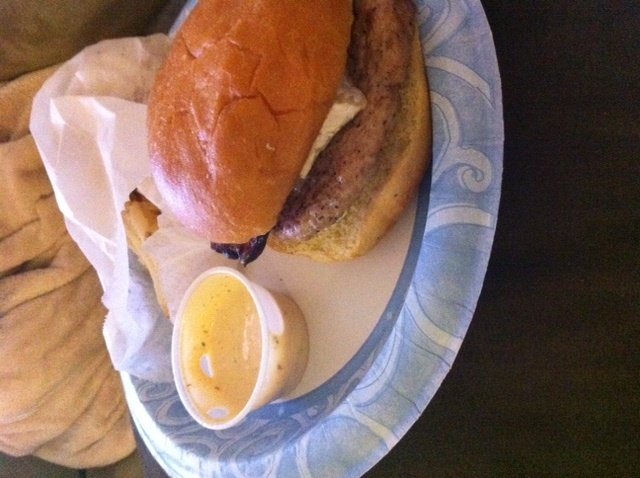 Hopefully I’ll get another one of these turkey burgers again soon! If you want to learn more about LBS Patty Wagon, check out their website, twitter, or facebook.